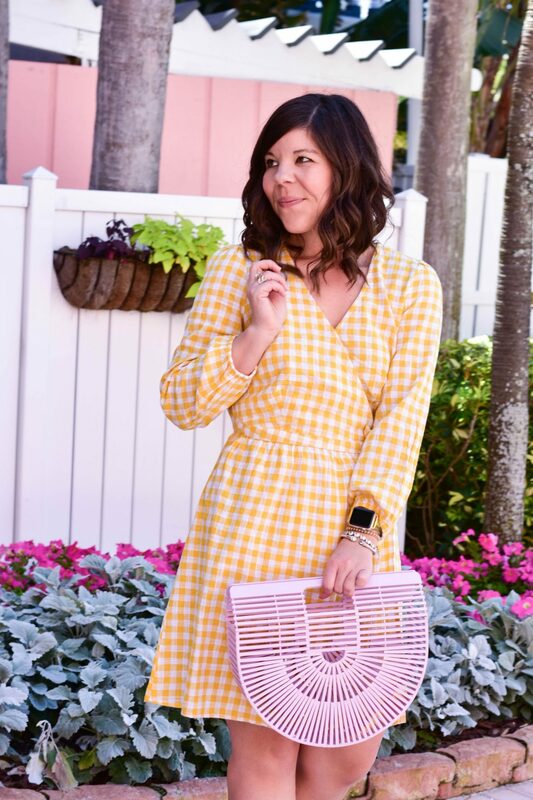 With three weeks until Easter I’m sharing the perfect dress option- and keeping it budget friendly at under $50! Hello, hello & happiest of Mondays friends!! One of my other favorite parts of the day is picking out my dress! 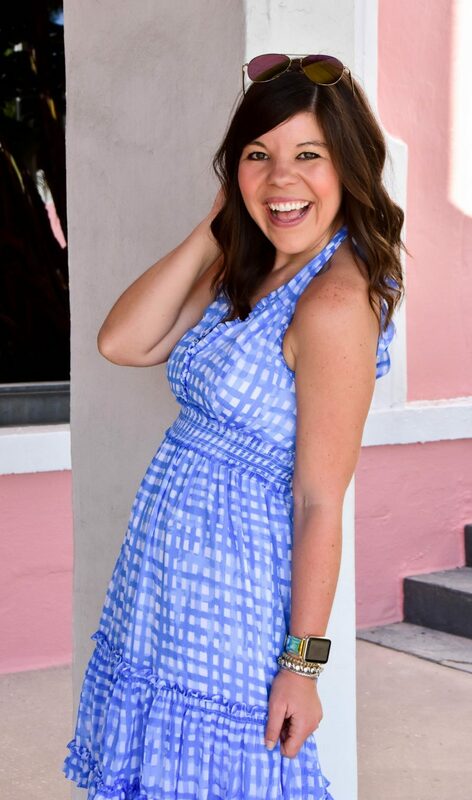 I love the tradition of finding the perfect dress, saving it for Easter Day, and then getting to wear it while I celebrate with my favorite people. It’s really the most fun! 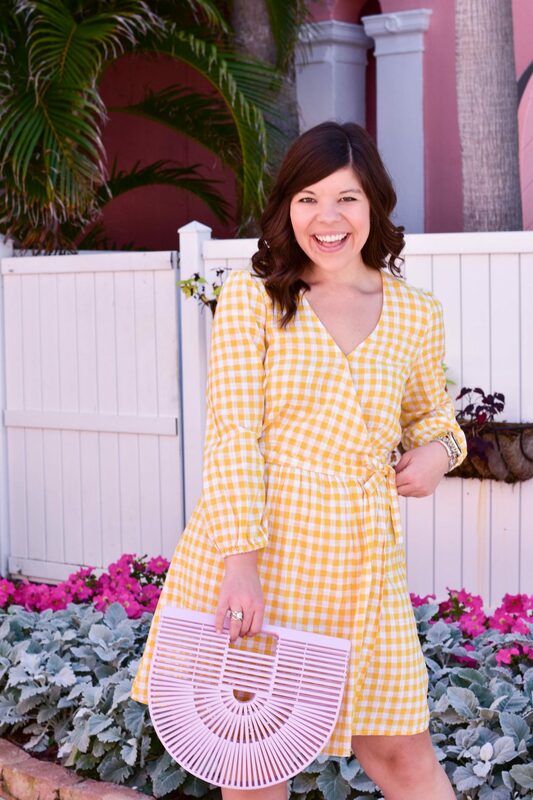 Today I thought it would be so fun to share one of my current favorite options – this yellow gingham is to die for! 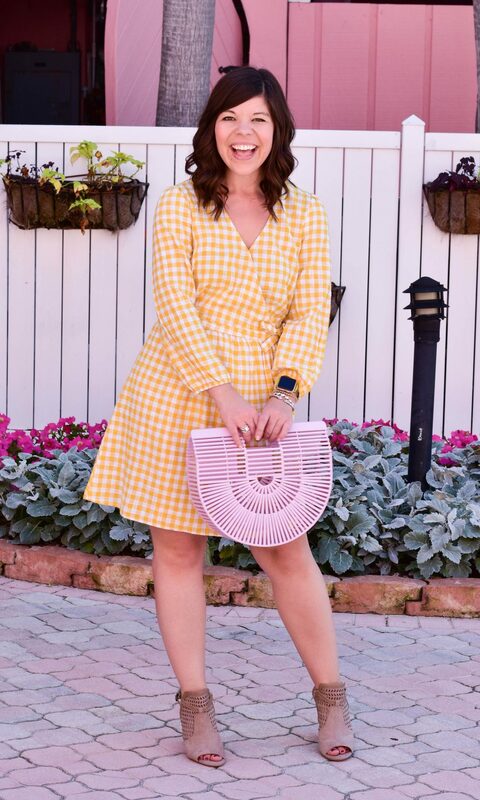 Gingham is definitely the print of the season and I am here for it!! 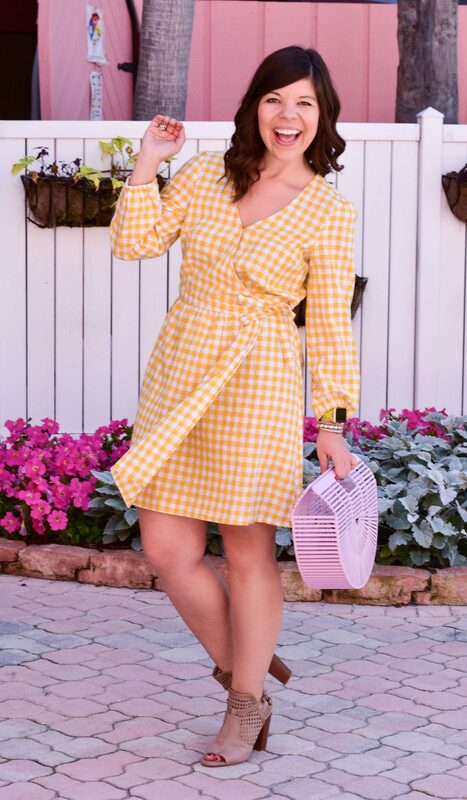 I love the classic wrap design & the under $30 price point! 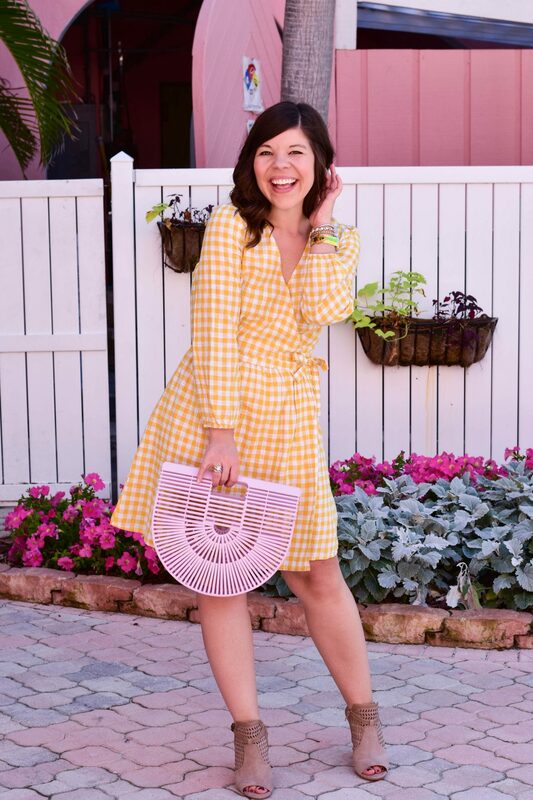 At the end of this post I rounded up a few other favorites- all under $30 with the current promo code 🙂 Happy Easter shopping! Have the best start to your week! I hope it’s the best one! 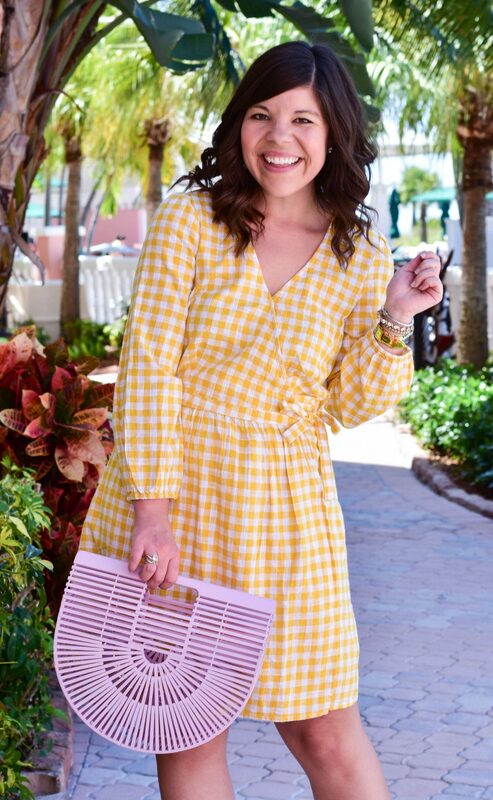 Loving the gingham dress on you ! The yellow is perfection. I must get that pink bamboo bag 🙂 Happy Monday ! 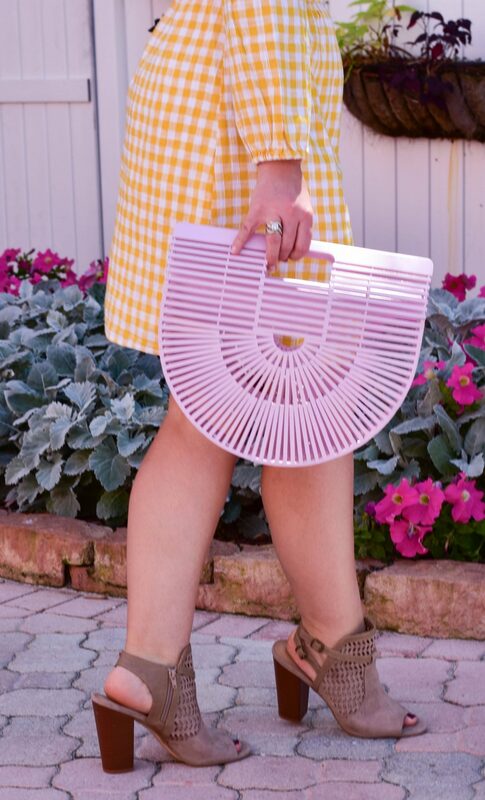 Yes you could totally rock that pink bag! 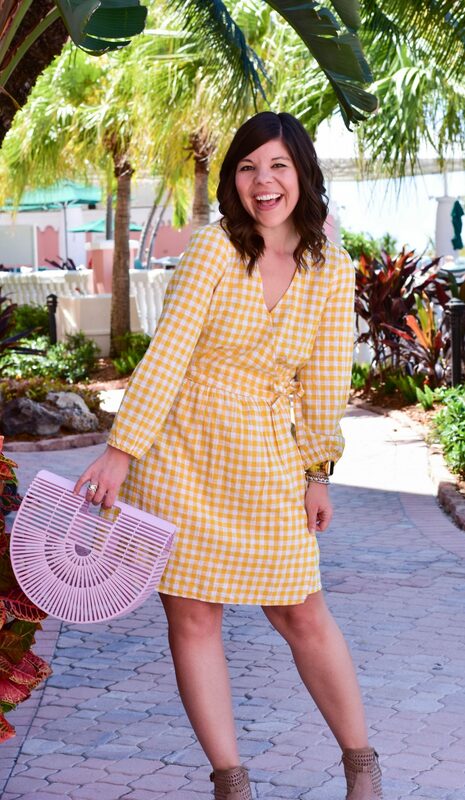 I had bought this dress in a different prints and was over the moon last weekend when I saw the yellow gingham print. I’m debating whether or not I actually need it and if I should go back! 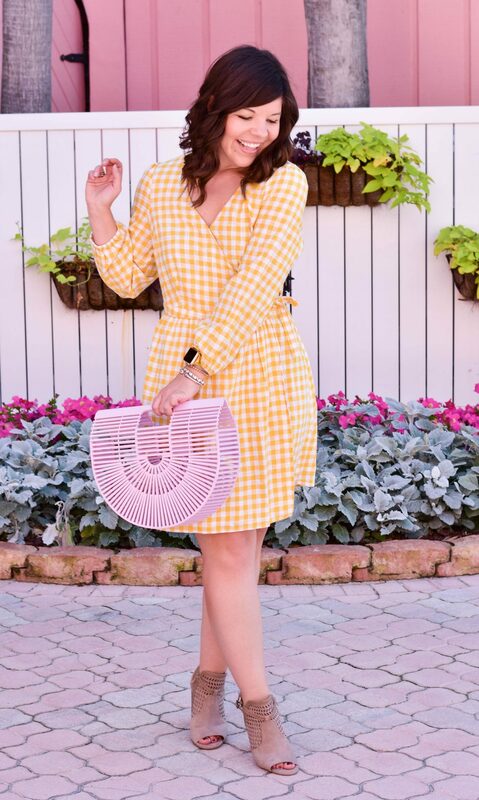 It look fabulous on you! 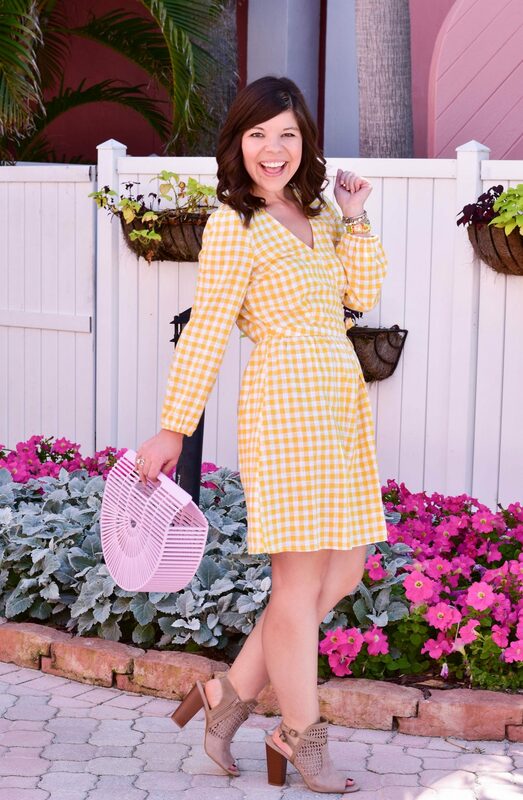 Oh the yellow gingham is sooooo good! You’d love it!